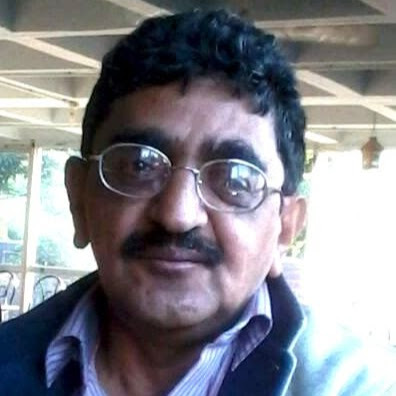 The Council of Scientific and Industrial Research (CSIR) on Tuesday announced winners of its prestigious Shanti Swarup Bhatnagar Prize for excellence in science and technology for 2017. Dr. Deepak Thankappan Nair of the Regional Centre for Biotechnology, Faridabad and Dr. Sanjeev Das of Molecular Oncology Laboratory at the National Institute of Immunology, New Delhi have won the prize for biological sciences, while Dr. G. Naresh Patwari of the Department of Chemistry at Indian Institute of Technology, Bombay has got the prize for chemical sciences. S. Suresh Babu of Space Physics Laboratory at Vikram Sarabhai Space Centre, Thiruvananthapuram, has bagged it for earth, atmosphere, ocean and planetary sciences. The President of India, Shri Ram Nath Kovind dedicating the two CSIR Technologies at the conclusion of Platinum Jubilee Year celebration of the Council of Scientific & Industrial Research (CSIR) in New Delhi on September 26, 2017.
" The CSIR Technology Awards were presented to various labs to encourage multidisciplinary in-house team efforts and external interactions for technology development, transfer and commercialisation. " The other winners are Dr. Aloke Paul of Department of Materials Engineering and Dr. Neelesh B. Mehta of Department of Electrical Communication at Indian Institute of Science, Bengaluru (Engineering Sciences); Dr. Amit Dutt of Advanced Centre for Treatment, Research and Education in Cancer, Tata Memorial Centre, Navi Mumbai and Dr. Deepak Gaur of School of Biotechnology, Jawaharlal Nehru University (Medical Sciences); Nissim Kanekar of National Centre for Radio Astrophysics, Tata Institute of Fundamental Research, Pune and D. Vinay Gupta of OPV Laboratory, CSIR National Physical Laboratory, New Delhi (Physical Sciences). Announcing the winners, CSIR Director General, Girish Sahni, said none was found suitable for the prize in the category mathematical sciences. The prize is one of the highest multidisciplinary science awards in the country. It was instituted in 1958 in honour of CSIR founder, late Dr Shanti Swarup Bhatnagar, and carries a cash component of Rs. 5 lakhs. The awards were announced at a function to mark the 76th Foundation of CSIR and the conclusion of the platinum jubilee celebrations of the council. 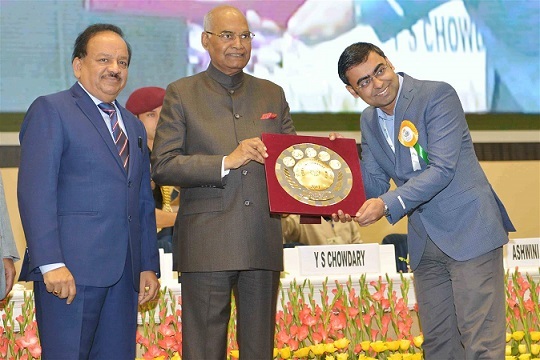 On this occasion, President Ram Nath Kovind presented the CSIR Young Scientists Awards for 2017. The winners were: Dr. Sakhya Singha Sen of National Chemical Laboratory, Pune, Dr. Prosenjit Das of Central Mechanical Engineering Research Institute, Durgapur, Dr. Sathravada Balaji of Central Glass and Ceramic Research Institute, Kolkata and Dr Amit Laddi of Central Scientific Instruments Organisation, Chandigarh. The President also presented the special gold medal excellence in biological sciences and technology named after eminent biologist G.N.Ramachandran to Prof. Kandala Venkata Ramana Chary of Tata Institute of Fundamental Research, Mumbai. The CSIR Technology Awards were presented to various labs to encourage multidisciplinary in-house team efforts and external interactions for technology development, transfer and commercialisation. The awardees are Institute of Minerals and Materials Technology, Central Road Research Institute, Central Leather Research Institute, Central Mechanical Engineering Research Institute and Central Institute of Mining and Fuel Research.